The move from 26 to 12 had just begun, but I needed to finish. No time for delay. Back I went to extract the rest and the word “extractive” seemed particularly appropriate in this instance. That is what I was going to do…take out everything and leave 26 in a barren state. No wonder I found myself moving pretty slowly not getting much done, although all the remaining vegetables needed to go on this day, and 26 needed to be ready for handover to someone else. 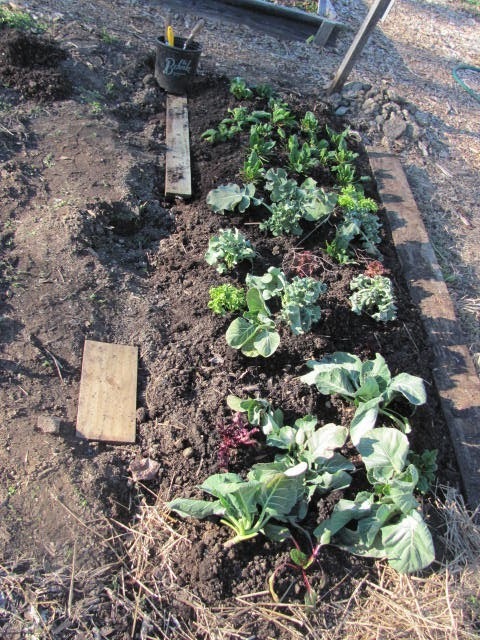 The broccoli and cabbage moved easily. 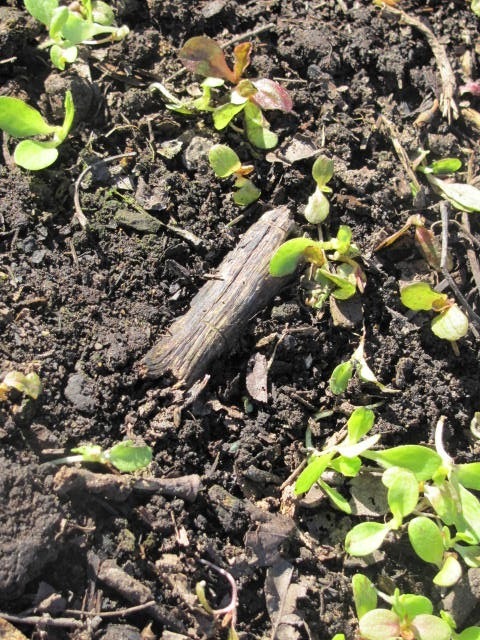 Even the lettuce settled in pots to go home and in the new bed on 19. 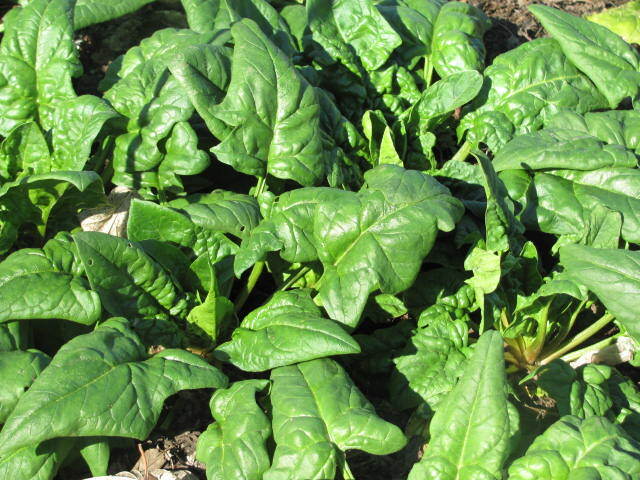 But the spinach seemed like an army, strong and vibrant, daring me to move them. Each plant looked strong and healthy while I, a broken gardener, bypassed them to do the rest first. That too was not easy…tulip bulbs already sprouting underground expressed distress at being pulled away, but they settled happily in their pots. With only one bed ready on 19, there was no way to fit everything there, or even in the pots I had brought. 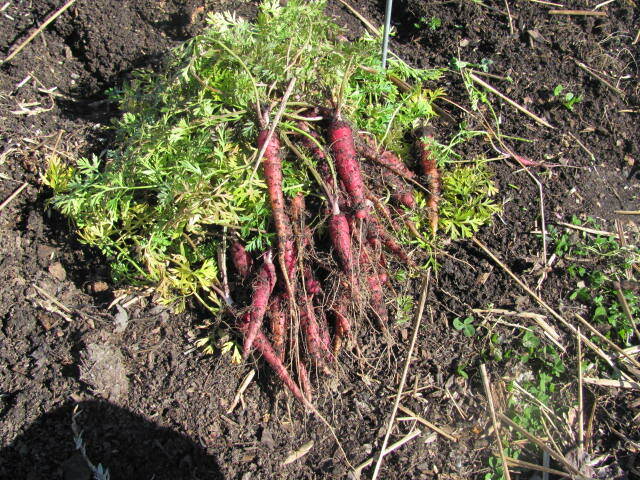 Carrots looked like they would give up without a fight. 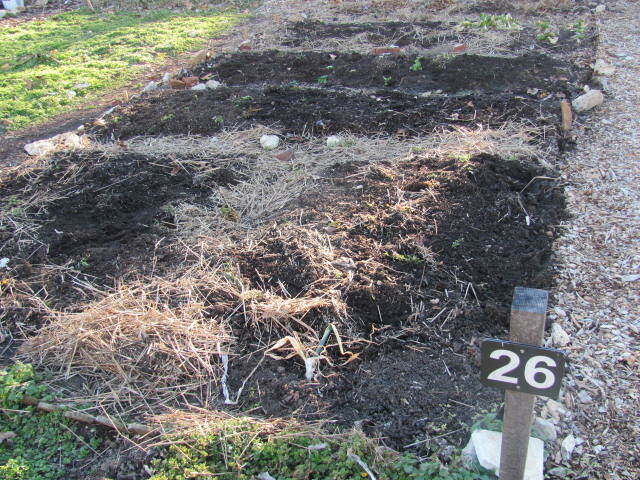 There was no way they could be transplanted; in spite of digging and supplementing with compost, the one new bed was not up to accommodating any root vegetables. So I pulled them all out, half done. 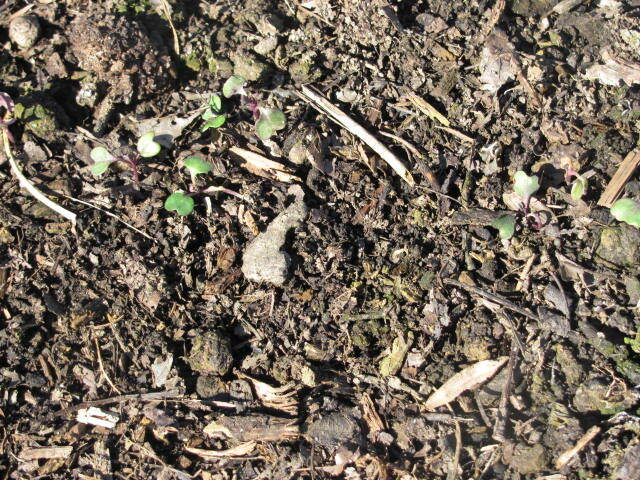 Finally, back to the spinach, and as I opened the row cover more fully, I noticed the emerging kale and heirloom lettuce mix, meant for salads in March and April. They did not even have their true leaves yet—no way to move those. Still, as an experiment, I scooped up some of each with my shovel and walked them over to 19. We’ll see how they do. A fellow gardener who lives nearby saw me there and came to talk. Yes, he would like 26, even for one season. I felt better. It’s nice to leave 26 in hands that care about gardens. I myself would have liked to keep 26 and make the transition to a new plot over the course of the season—I even offered to pay for both plots, but that was not an option.